Catering to the needs of diverse industries, we offer premium quality laboratory silicaware in various sizes and capacities. These silica wares are fabricated using premium grades of silica and are stringently checked for reactions with different chemicals. Suitable for carrying out different types of industrial experiments, our range is used in chemical, pharmaceutical, and other industries. We also take care of the requirements of our clients and provide them the facility of customization. 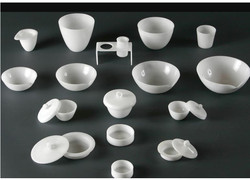 Owing to our expertise in this field, our firm is engaged in supplying an extensive array of Silica Ware. We are engaged in offering a multiple range of Industrial Silica Wares that help in carrying out different types of industrial experiments. Our range is suitable for chemical, pharmaceutical, R & D industrial and other industries. These products are durable and are offered at most reasonable prices. 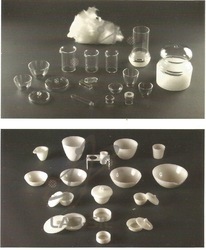 Looking for Silica Ware ?